The holidays are always a hectic time of year, I’m sure you can sympathize with me! Between the shopping, decorating, parties, and more, it’s easy to get overwhelmed. During the holidays, I rely on meals I can assemble ahead of time, and then bake off later when I’m free. 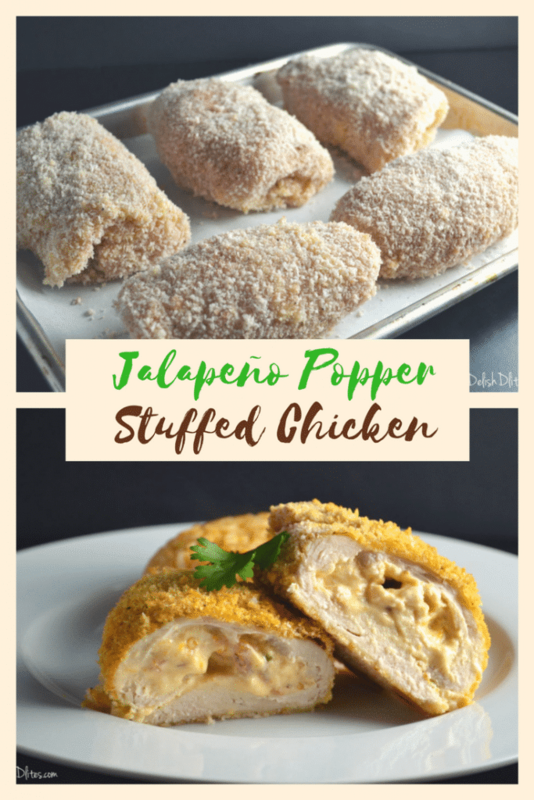 This jalapeno popper stuffed chicken recipe is perfect for a party of 2 or a crowd of guests! Just mix up the filling, stuff and bread the chicken, then refrigerate until you’re ready to bake. Plus, my jalapeno pepper stuffed chicken is a real crowd pleaser with familiar flavors. 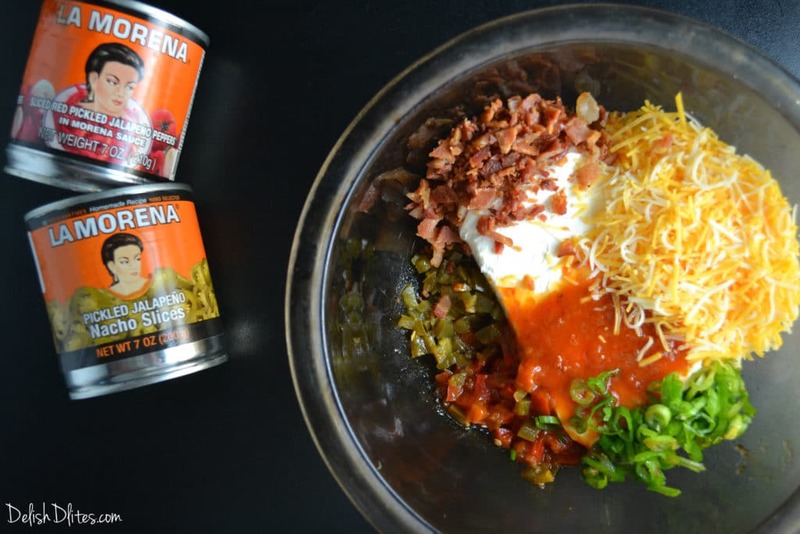 I’ve never met anyone who doesn’t love a jalapeno popper. 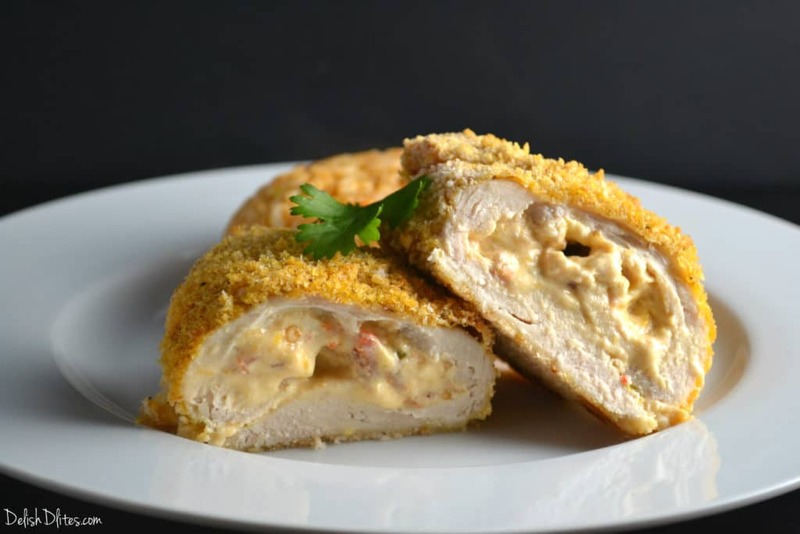 Who wouldn’t love cheesy jalapeno popper filling stuffed into a tender chicken breast with a crispy crust – these things are delicious! 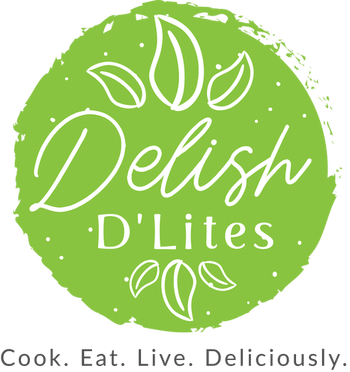 I love both green and red jalapenos, they add a beautiful color and spicy touch to the creamy filling. 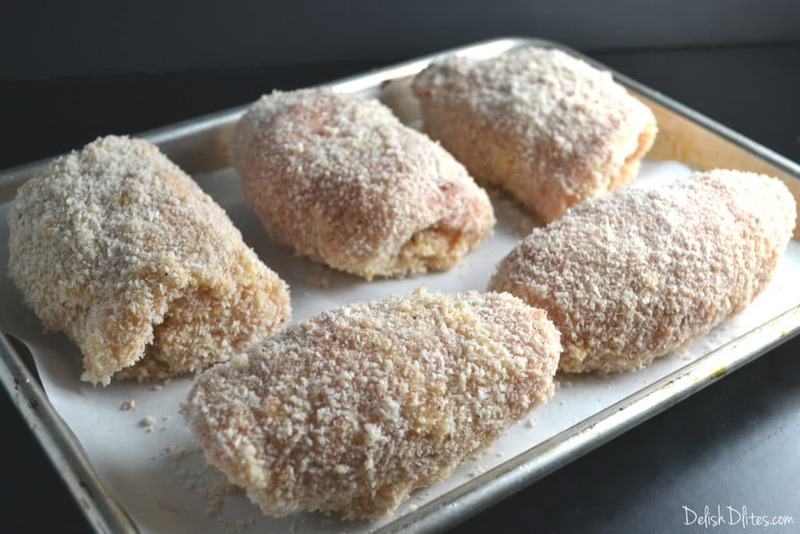 Create a breading station by placing the flour into one dish, the beaten eggs into a second dish, and the panko, salt, paprika, garlic powder and black pepper in another dish. 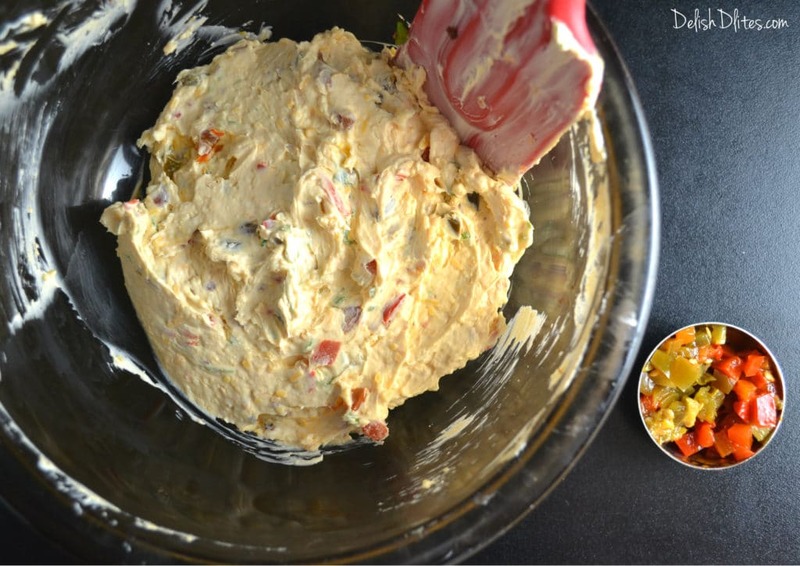 Mix the cream cheese, jalapenos, morena sauce, bacon, shredded cheese and green onions together. 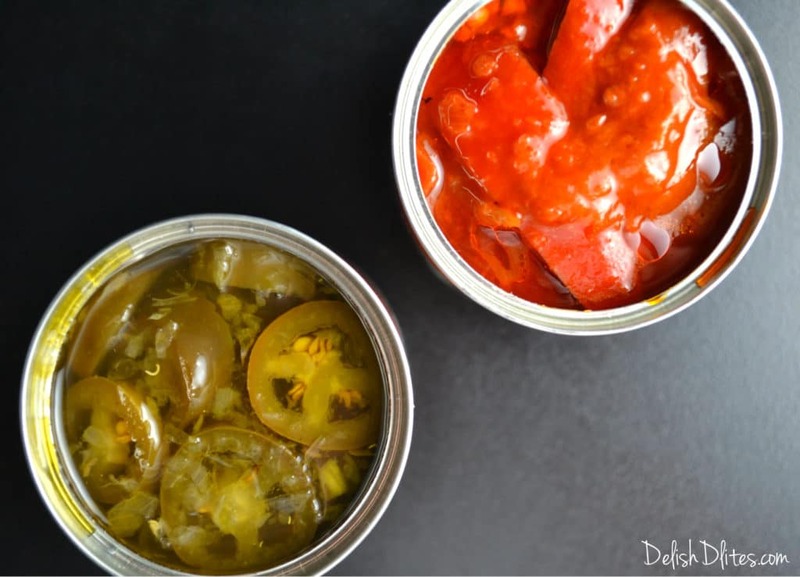 Depending on how spicy you want your filling to be, add 1 to 2 tablespoons of each type of jalapeno. Combine the mixture until everything is well blended. Divide the mixture into 6 equal portions, then spread onto one side of the chicken breast. Roll the chicken up and then bread the roll, coating it first in flour, then egg, then finally the seasoned Panko. 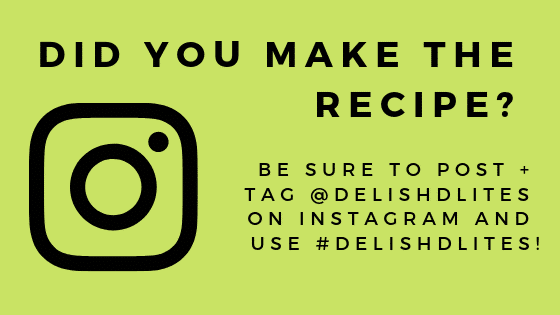 Place the breaded chicken onto a baking pan lined with parchment, seam side down. 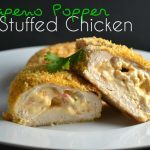 Spray the jalapeno popper chicken with canola cooking spray, then bake at 400 degrees F for 25-35 minutes, or until the chicken is golden brown and and the jalapeno popper filling is bubbly and melted. Allow the chicken to rest for 5 minutes before serving. Combine the cream cheese mixture until everything is well blended. 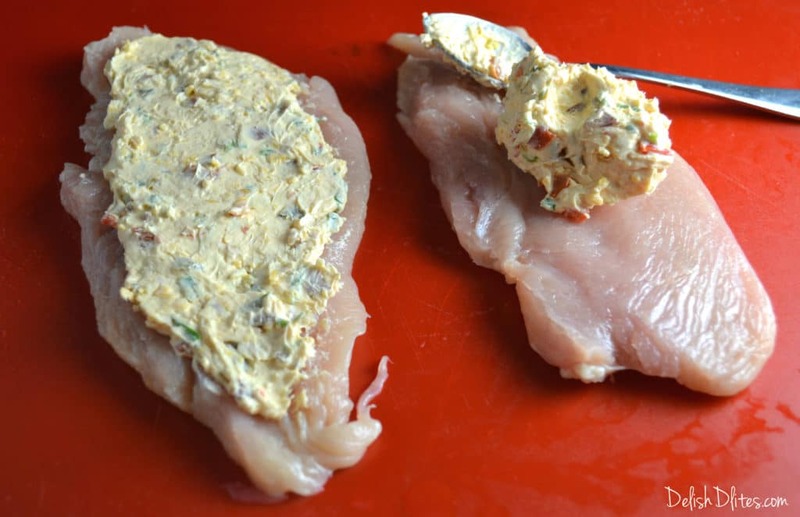 Divide the filling into 6 equal portions, then spread one portion of the filling onto one side of each chicken breast. Roll the chicken up and then bread it by coating it first in flour, then egg, then finally the seasoned Panko. Place the breaded chicken onto a baking pan lined with parchment, seam side down. Spray the jalapeno popper chicken with canola cooking spray, then bake at 400 degrees F for 25-35 minutes, or until the chicken is golden brown and and the jalapeno popper filling is bubbly and melted.